Japan will be the first team to get the slot for the AFC Asian Cup finals match after they beat Iran with 3 goals to nil. The first goal came through a header by Yuya Osako right at the 56th-minute mark after a spot-on cross from Takumi Minamino. 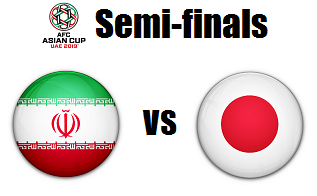 The 2nd goal came 11minutes from the first goal due to a penalty kick after a handball from the Iranian defense, Yuya Osako took the spot-kick giving Japan a 2 goal lead. Nevertheless, the Iranians kept on fighting and still had a lot chances in front of goal. Then, the final goal that sends Japan into the final came after the 90th minute thru a counter-attack scored by Genki Haraguchi. Japan will face the winner between Qatar and UAE later, 10pm at Mohammed Bin Zayed Stadium.